Ahead of coaching LeBron James, the Los Angeles Lakers' Luke Walton is doing his due diligence on the prized free-agent addition. That included his first meeting with James over the weekend in Las Vegas, which Walton came away encouraged by. "He's about the team. He's about doing things the right way, and he's about winning," Walton told ESPN of James. "I can work with those qualities." Walton is entering his third year on the sideline for the Lakers. 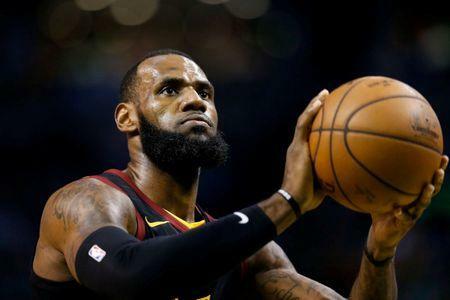 In preparation of managing James, he has reached out to two of the star's former coaches -- the Cleveland Cavaliers' Tyronn Lue and Miami Heat's Erik Spoelstra -- and James' former teammates Richard Jefferson and Channing Frye, according to ESPN. James, 33, averaged 27.5 points, 9.1 assists and 8.6 rebounds per game with the Cleveland Cavaliers last season. He agreed to join the Lakers on a four-year, $154 million deal on the first official day of free agency. James won't be the first star player Walton has coached. The 38-year-old led the Golden State Warriors to a 39-4 record as interim coach in 2015-16 while Steve Kerr recovered from back surgery. That team didn't have Kevin Durant but still featured a loaded roster led by Stephen Curry, Klay Thompson and Draymond Green. While James met with Walton in Las Vegas, he isn't expected to attend USA Basketball's minicamp at UNLV's Mendenhall Center from July 25-27, according to ESPN. James, a two-time Olympic gold medalist and three-time participant overall, is part of the 35-player pool the USA Basketball men's national team announced in April. Twelve players from that pool will be selected to take part in the 2019 World Cup in China and 2020 Olympics in Tokyo. James wasn't part of the 2016 team that won gold in Rio. The Vegas minicamp will be the first official event for this edition of USA Basketball under head coach Gregg Popovich.